While in Walt Disney World in Orlando, Florida for the International Food and Wine Festival, Carla Hall wanted to show her co-hosts and the enthusiastic audience how to prepare a tasty appetizer in practically no time at all! 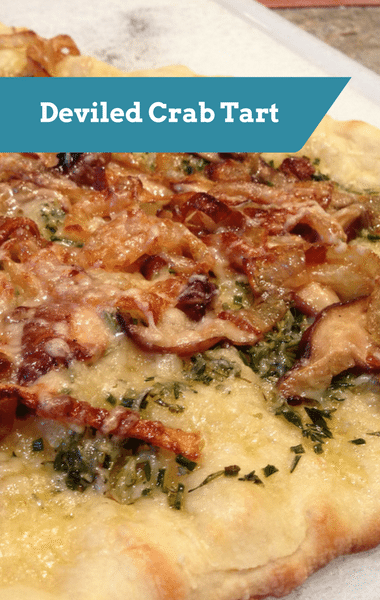 Crab is an ingredient that seems to automatically make any dish seem a little fancier, so imagine the reaction you’ll get when you tell your friends or family that you prepared a homemade Deviled Crab Tart? They will most certainly be impressed, as they should be! Because although this recipe is pretty easy to put together, it tastes absolutely gourmet!